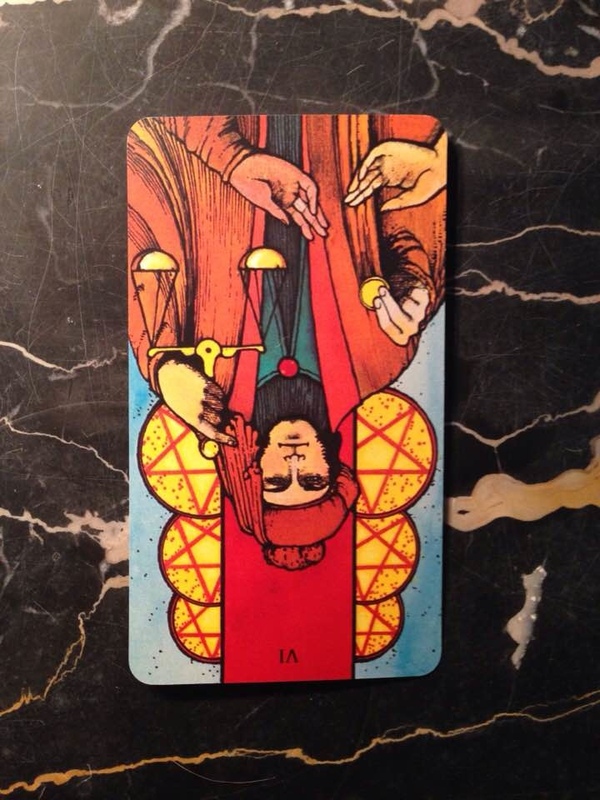 The Six of Pentacles, reversed, comes up today to warn you to strengthen your financial boundaries. Watch your spending habits and don’t get in over your head with debt. Also, curb your generous impulses and refrain from lending money or giving things to people who always have their hand out. Charity and kindness are wonderful, and essential to living a moral life, but some people may take advantage of you. When you are making donations, do your research and make sure the cause/organization is legitimate. This card can also indicate that you’ve been giving unstintingly to others without caring for yourself. You may have been absorbed in taking care of your young children, or a sick or elderly relative, and facing the inevitable emotional and energetic burnout. If that resonates with you, then make sure to take a break to relax and restore yourself with a bit of pampering and “alone time”.